Have you ever wondered about your ancestry? While you may have some idea of where your family originated from, most people in the United States don’t have knowledge going back more than a couple of generations. This is especially true for those with more mysterious family trees, whether it be the result of contact with the slave trade or mass migration. Luckily, for those who have always wanted to fulfill their curiosity, several biotechnology companies have stepped in to answer those burning questions. In the past decade, the world has come much closer to “instant” DNA analysis. With the advent of the internet, along with rapidly advancing biotechnology, we have reached a point where DNA reports, which only a few years ago would have been almost impossible for a layperson to obtain, can now be purchased for what one may spend on their cell phone bill. In fact, a recently popular trend on YouTube is for content creators to take a genetic test and report their results to the audience, in a scientific show-and-tell of sorts. Among the most popular of these service providers is a company called 23&Me, which has come to the forefront of a la carte DNA testing. How exactly does it work? Taking 23&Me as an example, the process is deceptively simple. All you have to do is pay $100-$200–depending on how in-depth a report you would like–and a swab kit will be sent to your home. After swabbing your cheek for saliva, you mail back your DNA sample to 23&Me headquarters, located in California. In six to eight weeks, 23&Me will send you a detailed report analyzing the DNA you sent in. The most basic package includes information about your genetic ancestry and lineage. For the especially curious, the company’s more extensive report goes into the depths of features like genetic predispositions for disease, physical traits like male pattern baldness, and even whether you are a carrier of conditions such sickle-cell anemia. The sheer amount of information that companies like 23&Me can gather from a saliva sample is quite astounding. While many consider this a praiseworthy scientific marvel, others have started to criticize the commercialization of DNA analysis, especially when it comes to sensitive health matters. As genetic testing has become more commonplace, there are now major concerns surrounding the concept of “genetic privacy”. Where exactly does your DNA go when you mail it away to 23&Me? Who owns your DNA sample once you’ve put it into a mailbox? What does 23&Me have the right to do with your genetic information? When services like 23&Me work to make the process so simple, these legal questions only become more complicated. While 23&Me does have a page on its website dedicated to privacy, it is unclear where exactly the law stands on what is and is not legal to do with a DNA sample you are sent. On one hand, it could be argued that by paying for the service, you are giving up your ownership rights to your DNA. Most people, not well-versed in contract law, will most likely skim if not completely fail to read the website’s terms and conditions before making their payment and agreeing to send away their DNA. There is certainly a danger of people opting into things like genetic research without realizing what they’ve even agreed to. On the other hand, 23&Me offers customers the option to opt out of certain uses of their DNA, which might combat some critics’ most pressing concerns. The company might defend itself against the above criticisms by pointing out that a prudent customer would have read the website in full before sending off their DNA to be tested. Whether that is a realistic assumption is likely a question for a jury, when a case inevitably comes to fruition. Beyond their opt out feature, the company is also treading carefully by promising not to sell genetic data to companies – a huge concern for those with fears of insurance companies getting their hands on genetic information and upping premiums as a result. Whether 23&Me will live by its promises is yet to be seen. 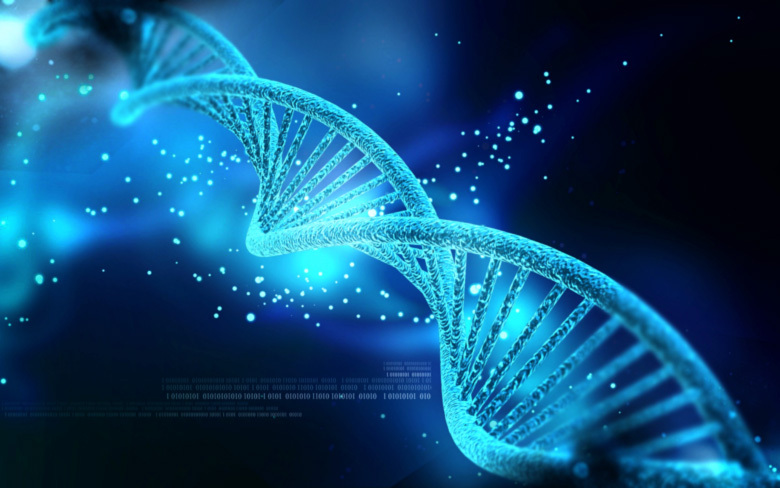 In the past couple of years, DNA analysis services have only gotten more popular– to the point where it has even become a trendy birthday gift. Inevitably, these complex issues will make their way to a courtroom, and only time will tell how our legal system will respond this new technological age. Bio: Kelly F. Vieira is a second year student at Suffolk University Law School. She is currently a staff member on The Journal of High Technology. She holds a Bachelor of Arts in Political Science from Tufts University.